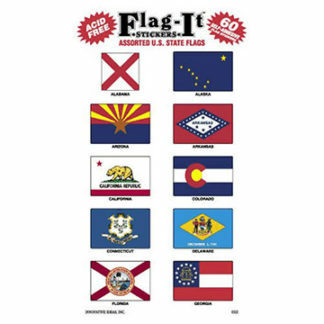 We found a good price on some American-made flag decals, and decided to carry them here in the store. These are screen printed with a double pass of inks for quality, printed on thick mil vinyl stock and laminated with high gloss UV coated laminate and water proof. 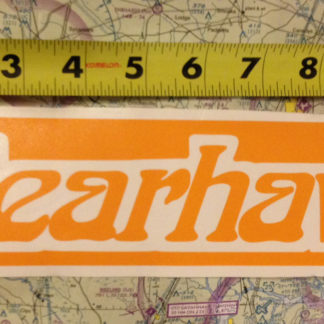 They are intended for outdoor exposure and we applied a set to the tail of our Bearhawk over a year ago. There are a few options available: In the 3.5″ x 5″ size, we have a United States standard, United States reverse, United States waving, Canada standard, and Canada Reverse. In the larger 5″ x 8″ size, we have a United States standard, and a United States reversed. These ship free to domestic addresses, and for our friends in Canada, they will certainly fit just fine in the box with any of our other products.